Justice Abdul Rasool Memon was born at Shahpur Jehania District Shaheed Benazir Abad (the then Nawabshah) on 08.10.1956. He got his Primary and Secondary Education at Moro and Bachelor of Arts from Mehran College Moro, affiliated with University of Sindh, in 1977. He passed Examination of LL.B from Sindh Law College Hyderabad in 1979. He also got the Degree of Masters of Law from University of Karachi in 1999. After passing LL.B, in the same year he joined M/S. 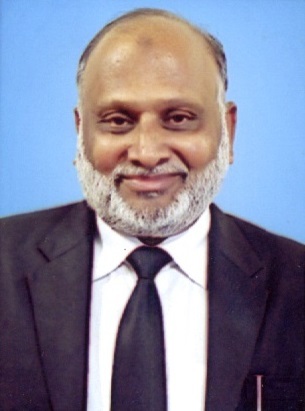 S.A. Jamali & company, the premier Law firm, of Hyderabad and was enrolled as an Advocate in September 1981. He started his career as Civil Judge in 1984 after passing the test in first position conducted by the Sindh Public Service Commission, Hyderabad. He worked as a Civil Judge Karachi, Tando Allahyar, Sehwan. Promoted as Senior Civil Judge 1990 and served at Tando Muhammad Khan, Larkana and Matli. He was promoted as Additional District & Sessions Judge in 1995. Having served at Hyderabad twice and Karachi, on his promotion as District & Sessions Judge in 2003, he was posted first at Ghotki and then Hyderabad, Mithi and Malir. He was also posted in Ex-cadre posts as Judge Anti-Corruption (Central) at Hyderabad. Besides this, he was posted Registrar of High Court of Sindh twice from 02.09.2008 to 17.07.2009 and 18.09.2010 to 31.05.2012. In addition to his judicial service, he taught the Qanoon-e-Shahadat and Hudood Laws as Honorary Professor in faculty of Law at University of Sindh to LL.M classes. Refresher Course of Civil Judges/Senior Civil Judges, Federal Judicial Academy, Islamabad in 1984. Judicial Training Course for Additional District & Sessions Judges in 1998. Orientation Course in Shariah (Islamic Law) was conducted by the Sharia Academy, International Islamic University at Egypt, Saudi Arabia and Islamabad. Provincial Judicial Conference organized by the High Court of Sindh in 2005. Training Course for Civil and Commercial Law in the light of the General Principles of Law and Islamic Law “Shariaa” held by the Ministry of Justice held at Arab Republic of Egypt at Cairo in 2002. Program on Delay Reduction & Judicial Ethics organized by the High Court of Sindh in 2004. Program on Delay Reduction Techniques conducted by the Federal Judicial Academy, Islamabad in 2007. Program on Judicial Good Governance conducted by the Judicial Academy, Islamabad in 2008. Study Tour on International Cooperation Terrorist Cases in cooperation with the Government of the Federal Republic of Germany at Vienna, Bonn, Berlin, 2009. In the end of his career, he was elevated to the august Bench of the High Court of Sindh in June, 2012 as Additional Judge and was appointed as Judge of the High Court in May, 2013.